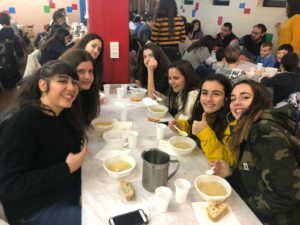 In February, every year the Sa-Fa Schools of Spain, through the Carumanda NGO, join the Manos Unidas Campaign to raise awareness of the problems that continue to marginalize so many people in the world. 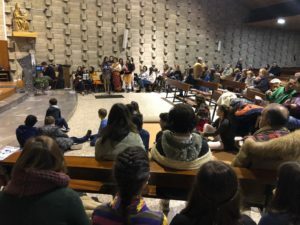 This year we have reflected on the motto BELIEVE IN THE EQUALITY AND DIGNITY OF PEOPLE. 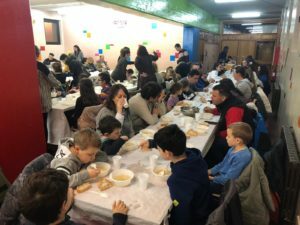 Thus, the Educational Community of the Holy Family School of Burgos, on February 8 has celebrated its traditional dinner of hunger. 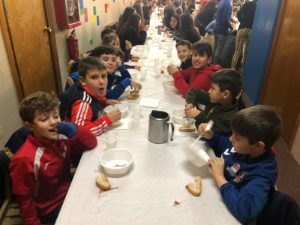 It had two different moments: the first, of sensitization, in the parish; and the second, in the school where adults and children shared a simple soup and bread and an after-dinner time. 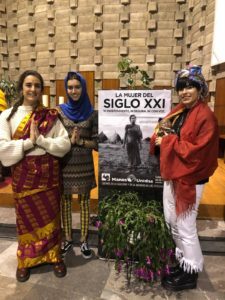 The proceeds from this activity will be used to improve the irrigation infrastructure of 21 villages in Siem Reap Province (Cambodia).